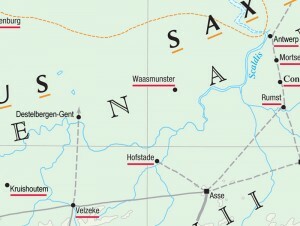 The modern name Destelbergen-Gent was misspelled as ‘Destelbergen-Gand’ on “Map 11: Sequana-Rhenus” in the Barrington Atlas of the Greek and Roman World, as well as in the associated Map-by-Map Directoryentry and the alphabetical gazetteer. All three of these documents should be modified to display the correct spelling of Destelbergen-Gent. 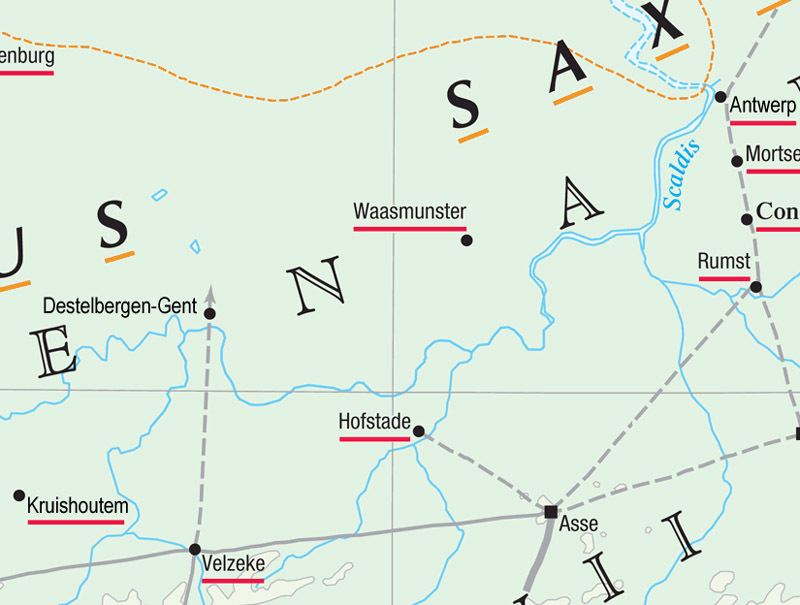 Correct the spelling of Destelbergen-Gent on “Map 11: Sequana-Rhenus” as indicated in the image shown here.